Seniors Cole Coughenour and Damian Patton celebrate after a touchdown against Lone Star, Nov. 3. Reedy’s football team is 9-1, standing number two in the district. The team played Liberty, Friday Nov. 10 at Memorial Stadium, taking the win 47-14. Gipson is one of many players who have contributed greatly to Reedy’s success, holding the most touchdowns and total points in the district. 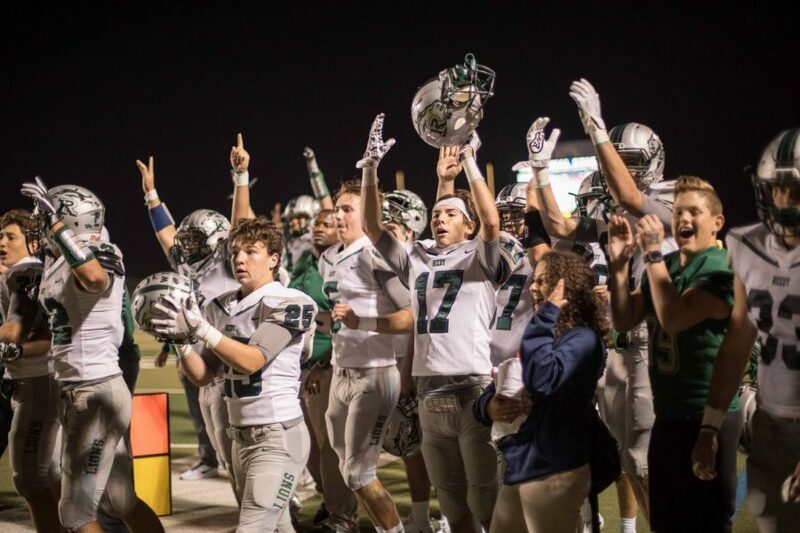 Reedy has remained undefeated, winning each game by an average of 19 points, until the recent Lone Star game, Nov. 3, where they took their first loss. The team’s head coach, Chad Cole, said his strategy is to simply teach the boys to do their best and get better every day. The student section is led by seniors Alyssa McGowan and Jake Meyer. The two lead the crowd in chants and keep good energy going to carry the team throughout the game. The first round of playoffs will be at the Star, Friday Nov. 17 against Lake Dallas. Coach Cole plans on maintaining the team’s current mindset and practicing like it’s just another game.